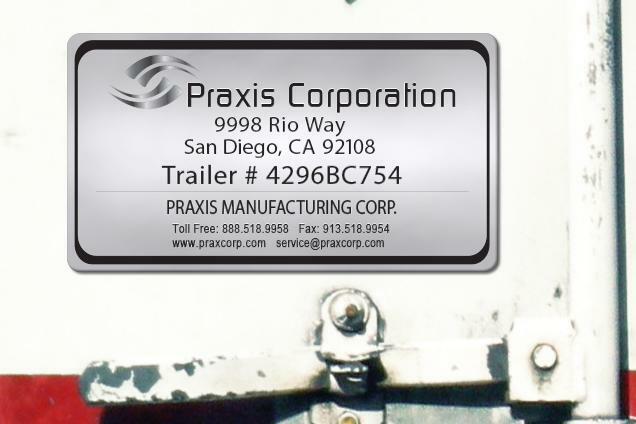 MPC's anodized aluminum nameplates provide exceptional abrasion resistance, as well as excellent resistance to corrosion, chemicals and solvents. 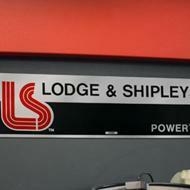 For certain applications, anodized aluminum nameplates are a cost-effective alternative to Metalphoto. Please consult MPC for more information. 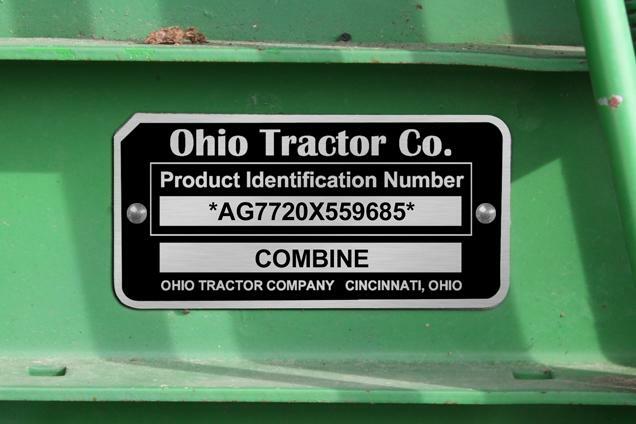 Graphics are screen printed and sealed beneath the anodic layer for extra durability. Following the imaging process, edges and holes fabricated in accordance to part design are not anodized. 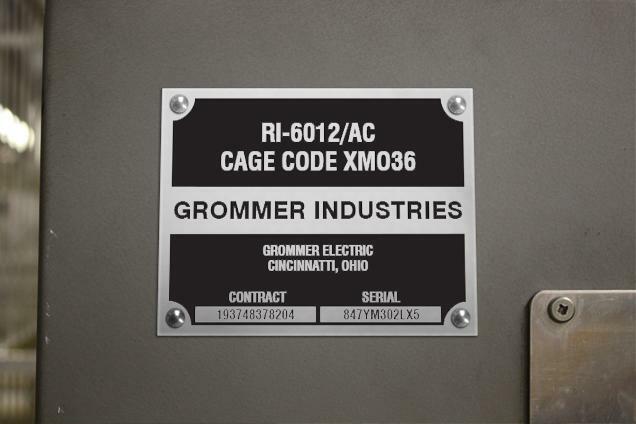 A secondary process may be elected for thicknesses of .063" or greater to anodize, alodine or paint these edges for increased durability and protection. 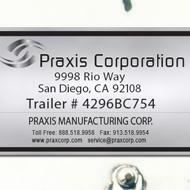 Why Choose MPC's Custom Anodized Aluminum Nameplates? 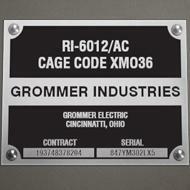 Graphics are screen-printed and sealed beneath the anodic layer for increased durability. 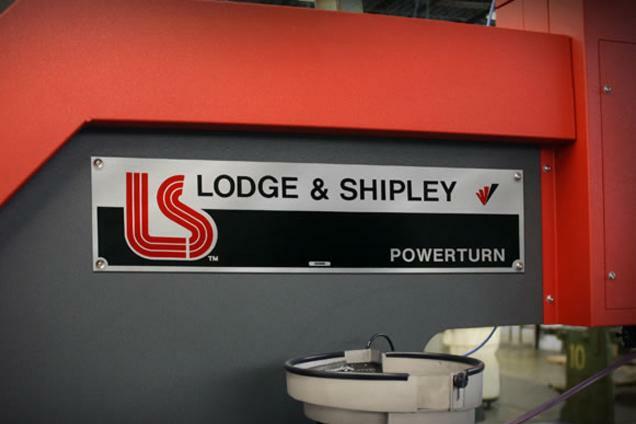 Black graphics offer an expected exterior life of up to 10 years; color options have limited UV resistance and are not recommended for long-term outdoor applications. 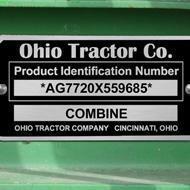 Anodized aluminum .020" face stock standard (optional thicknesses .003", .005", .008", .012", .032", .063", .090", .125"). Matte (non-reflective w/flat finish), Satin (lustrous semi-reflective material), #4 (brushed to resemble a stainless steel finish), Gloss (highly reflective, mirror-like). Note: #4 starts at .032" thickness; Gloss is available in .020" only.